Intense learning on blueberry – sign up now! : Spotted Wing Drosophila Latest information from the NYS IPM Program. March 14, 2019 – Millbrook, NY in Duchess County. Register for The Blueberry Intensive Workshop — $35 for NYSBGA members; $45 for non-members. Top professionals from Cornell University, CCE, Penn State University, Rutgers University, and more will cover don’t-miss topics. Plus, successful blueberry growers will share their tips. Speakers will vary by location. Take home a resource packet of workshop materials you can refer back to every year. Site selection and preparation — the most important aspects for long-term success! Learn how sites will impact overall plant growth, pest pressure, weed management, and fruit quality. Learn about the major diseases you need to be aware of — successful management strategies, fungicide programs, and organic tactics. 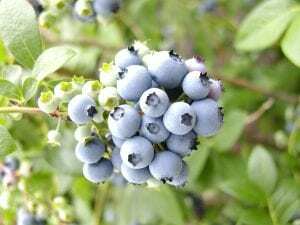 Main blueberry insect pests you need to know about: cranberry fruit worm, cherry fruit worm, blueberry maggot, SWD and more! Learn about upcoming NEWA berry tools that improve spray timing and IPM. Visit newa.cornell.edu. Bring your laptop! Farm to school, value added, nutraceuticals, organic wholesale — plentiful market options and demand for blueberries. Berry Profitability Tool—knowledge is power! Understand your expenses, how they compare, and learn how to strategize for success. Bring your expenses and plug them in to the Berry Profitability Tool. Bring your laptop! David Duda, owner, Duda’s Blues Berry Farm, Machias, NY will share his success stories at the Ellicottville Workshop. Jake Samascott, owner, Samascott Farm, Kinderhook, NY will share his success stories at the Millbrook Workshop. Feeding blueberries correctly — important and challenging: learn about crucial soil acidity (pH) and irrigation. Healthy plants better resist insects and diseases. Get chill with your berries — remove field heat fast with forced air cooling. Maintain quality with modified atmosphere packaging and tools like a CoolBot. Like nutrition, good pruning builds an overall vigorous and pest durable plant. Learn how pruning tactics change as the plant moves through its juvenile period into the fruiting years. Your top priority, season-long! At early pre-bud-break, learn what and how to look for: scale, mummyberry, and galls. Plus, weeds — timing herbicides and adding mulch. Hands-on opportunity! We’ll address cultivar differences in pruning approaches that will become obvious as we look at plants. Use a pneumatic pruner, as well as more traditional tools. The Blueberry Intensive Workshop starts at 8:30 AM and ends at 4:30 PM. Lunch and breaks are included. DEC re-certification credits provided. Take home a resource packet of workshop materials you can refer back to every year.